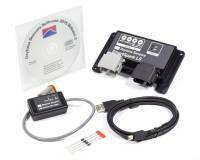 Daytona Sensors develop and sells electronic controls and sensors designed for use on high performance and race vehicles. 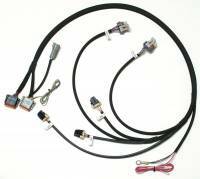 Check out the Recently Listed Ignition Timing Controllers. Check out the Recently Listed Map Sensors. Check out the Recently Listed Shift/Warning Lights and Components. Check out the Recently Listed Timing Lights. 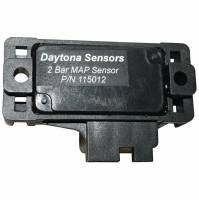 Daytona Sensors, LLC is the sister company of Daytona Twin Tec, LLC. Our mission is to develop leading edge electronic engine controls and instrumentation systems for a broad range of automotive and motorcycle applications. Our product line is based on the most advanced technology and does not involve compromises in quality. We have a vision, not product managers, corporate committees, cost accountants, and endless meetings. We get things done! Daytona Sensors? started out in 2001 by designing, manufacturing and supplying digital ignitions for the Motorcycle market, quickly expanded into the automotive motorsports in 2003. Since that time, Daytona Sensors ignitions and components has been gradually growing and is recognized as a leader in quality digital ignition components and related products. 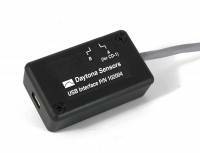 Sometimes not well-known as some of the other companies on the market, starting in 2015, we at Daytona Sensors? began aggressively pursuing higher levels of distribution, and have launched a strong media campaign. We are also eyeing series sponsorships in an effort to increase our brand recognition in the automotive aftermarket and performance racing community. Daytona Sensors? is now enjoying more and more success as over the past few years as many high-profile racing teams, nationally recognized engine and chassis builders, dyno manufacturers and also various other types of product manufacturing companies have turned to utilizing the Daytona Sensors? brand of track-tested and dyno proven products. Our company is based in South Daytona, Florida. All parts are manufactured and assembled in the USA. ?We Look Forward To Seeing You Soon In The Winner's Circle! 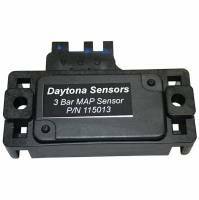 The Daytona Sensors product line includes CD-1? 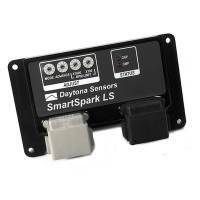 Ignition Systems, SmartSpark? LS Control Module, Billet Distributors, weGO? Systems, NC-1?, Nitrous Controllers, NC-2? Nitrous Controllers, SL-1? Programmable Shift Light & Data Logger, TC-1? Turbo Controller, TCS-1? Timing Control System, Dyno LED Timing Light and more.